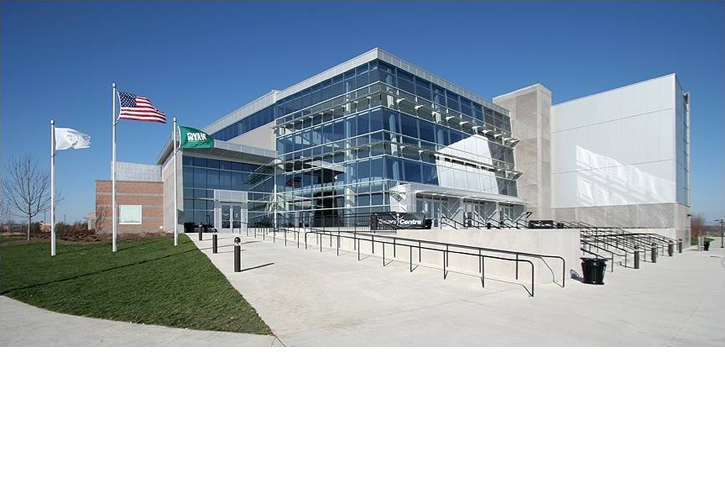 Donald Eyberg brought his 25 years of experience designing sports facilities to this 11,800-seat facility for entertainment and sporting events. In addition to being able to host athletic events, the arena is designed to host theatrical events and concerts. The “horseshoe” configuration leaves a flat floor area on one end event level for various stage set-ups, allowing for a wide variety of entertainment events to be hosted with the sporting events which include hockey, basketball, indoor football, indoor soccer, and indoor lacrosse. The seating bowl is innovatively designed with three seating levels, ranging from an intimate 3,000 seat theater performance to 12,000 seats for concerts.